Extract from Irene Vongehr Vincent, The Sacred Oasis: Caves of the Thousand Buddhas Tun Huang . London: Faber and Faber 1953: 43. Reproduced by courtesy of Bronwyn Vincent. Following the publications and lectures of Stein, Pelliot and others resulting from their visits to the Dunhuang Mogao caves in the early twentieth century, the caves became known worldwide and intrepid travellers, some living in China and some coming from abroad, started trying to visit the site. In the 1930s there was probably only a handful of visitors. One such was Desmond Parsons, a young man from Birr Castle in Ireland who was living in Peking at the time. 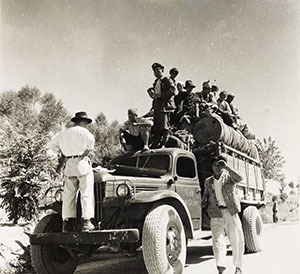 However, by the 1940s the number of foreign visitors had increased, despite the continued difficulties of the journey: in 1948 there were two dozen according to a contemporary account. These included several well-known scholars, including the British scientist Joseph Needham, but also others, such as the journalists Irene Vongehr Vincent and John B. Vincent. Visits continued after the founding of the People’s Republic in 1949. Needham returned in 1958 and the Indian linguist and politician, Raghu Vira, visited in 1955. Many of these visitors made a photographic record and some, such as Needham and Raghu Vira, also kept diaries. 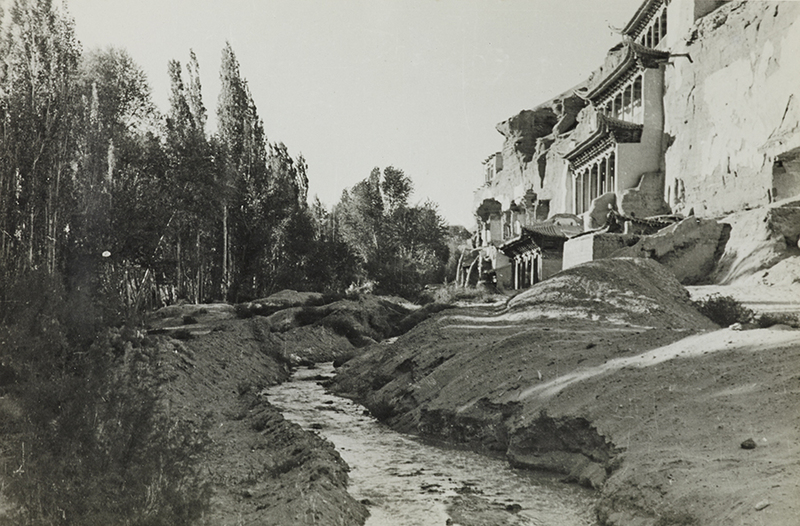 In this, the 70th anniversary of Needham’s first visit to Dunhuang, the Needham Research Institute (NRI) and IDP agreed to collaborate to digitise Needham’s photographs and diaries and to make them available on IDP. This work is being generously funded by the Dunhuang Foundation. By a happy coincidence, during a visit to Seattle in 2012 Susan Whitfield met with Bronwyn, one of the daughters of Irene and John Vincent, and the family subsequently made a gift to the British Library of the several hundred photographs taken by him and his wife on their respective visits to Dunhuang. In addition, over a hundred photographs by Desmond Parsons, younger brother of the Earl of Rosse and friend of Robert Byron, were recently transferred from SOAS, University of London to the British Library on the generous agreement of the Earl of Rosse and with the support of Susannah Rayner, Head of Archives at SOAS. Professor Lokesh Chandra of New Delhi, a Dunhuang scholar (see Publications) and longtime friend of IDP, has also recently gifted over two hundred photographs taken by his father, Raghu Vira. IDP is currently cataloguing and digitising these important resources and all will be available online in spring 2014. In this issue we show a small selection of images along with extracts from Irene Vongehr Vincent’s and Joseph Needham’s accounts of their visits. However, we start the feature with a short article by Declan Hayden on Desmond Parsons and his ill-fated 1935 visit. 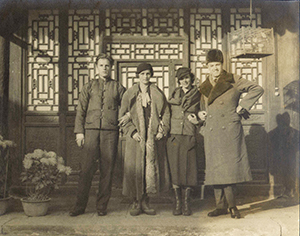 Desmond Parsons (left) with his mother, sister-in-law, Anne Messel, and Harold Acton, in front of Parsons’ Beijing house. This line from the obituary of the Honorable Desmond Parsons in July 1937 captures his passion for a China that is no more. Indeed in the very same month of his death the Japanese invasion would set further in motion the transformation of Peking and China. His death at the young age of twenty-six ended a promising career in Sinology. But a highlight of his brief life was his visit to the Dunhuang Mogao caves and his early photography of the ancient Buddhist paintings. Desmond Parsons was born on 13 December 1910, the youngest of three children of the 5th Earl of Rosse, Birr, Co. Offaly, Ireland. This great family of inventors and innovators are renowned for their giant telescope, the invention of the steam turbine, a passion for photography and botanics and a legacy of contribution to Ireland. Desmond Parsons’ friendship with Robert Byron3 (1905–1941) and especially Harold Acton (1904-1994) encouraged him to travel, and it was to be China that called to him more than any other destination. He established himself in Peking, acquiring a courtyard house to the northeast of the Forbidden Palace, 8 Cuihua Hutong, off Wangfuijing St. (no. 27 today). He began studying Chinese language and culture, translating a collection of Chinese folktales from German into English.4 He taught at Peking University and contributed a column for the Peiping Chronicle. He read extensively and Aurel Stein’s 1921 The Thousand Buddhas: Ancient Buddhist Paintings from the Cave-Temples of Tun-Huang on the Western Frontiers of China intrigued him and led him to decide to make his own journey there. By this time, owing to the previous removal of the scrolls and artefacts by Stein and other foreign explorers, the caves were carefully watched by the Chinese authorities. Parsons left Peking for Dunhuang in 1935 on what was a challenging journey through Central Asia. This took him through the ancient highway to the west along the Gansu corridor. 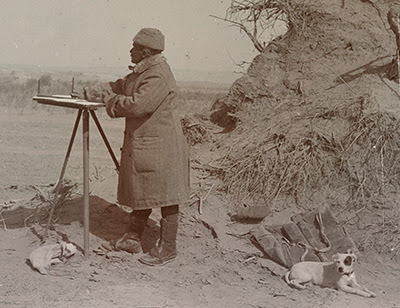 His letters from Lanzhou describe how he arrived there from Xian on the back of a lorry, sitting on top of a load of luggage with twelve other men travelling over five days, across challenging landscape.5 He recorded his journey in photographs. His ancestors had been among the earliest users of photography. (Mary Rosse (née Field) (1813–85), wife of the 3rd Earl, was an early practitioner of the new technology, taking images of the giant telescope which she had helped build.) 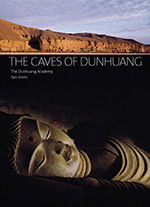 On reaching Dunhuang, Parsons stayed with the local monks and managed to gain access to the Buddhist cave temples. Here he took over 100 photographs in a number of the caves, capturing many of the wall paintings. Photograph of a Dunhuang Mogao Cave taken by Desmond Parsons. The British Library Photo 1275/1(99). 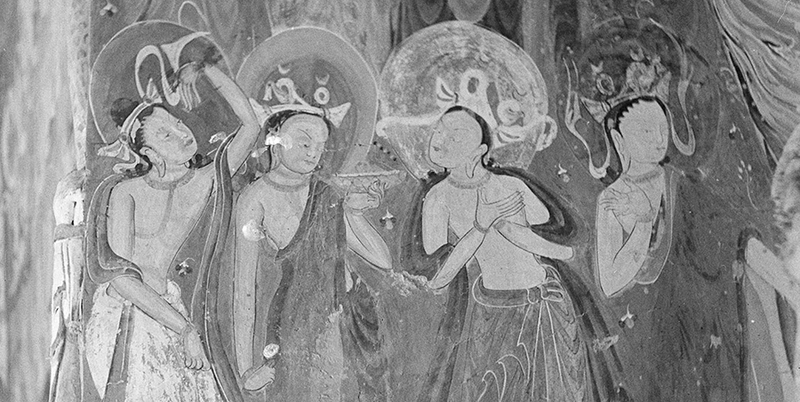 The story was extensively reported in the British papers and drew further attention to Dunhuang and the Buddhist caves. Parsons was eventually released in Lanzhou but had fallen ill. The photographs were of interest to many and the Courtauld Institute acquired prints thanks to the assistance of Walter Perceval Yetts (1878-1958). Parsons also wrote an article about the caves, illustrated with his photographs, for The Illustrated London News : this was later to inspire Irene Vongehr Vincent to visit.7 But his health was failing and he was diagnosed with Hodgkin’s Disease, devastating news for his family and friends. Over Christmas 1935 he travelled on the Trans-Siberian Railway with his brother and sister-in-law back to Europe through Moscow. After a brief stay at Birr and in England his health showed improvement and it was decided he should enter a clinic in Zurich to try and treat the disease. However, this respite was short and he died there on July 4 1937 aged only 26, with his brother Michael by his side. His death sent shock waves through their network of friends and acquaintances. He was described as one of the most magnetic young men of his generation. The present 7th Earl is Michael’s son, Brendan Parsons. Lord Rosse has faithfully protected and promoted his uncle’s work, donating many of the photographs to various collections, including Harvard University and The School of Oriental and Asian Studies, University of London (SOAS). He has now agreed for the SOAS collection to be transferred to The British Library (Shelfmark Photo 1275) and digitized under the auspices of IDP. 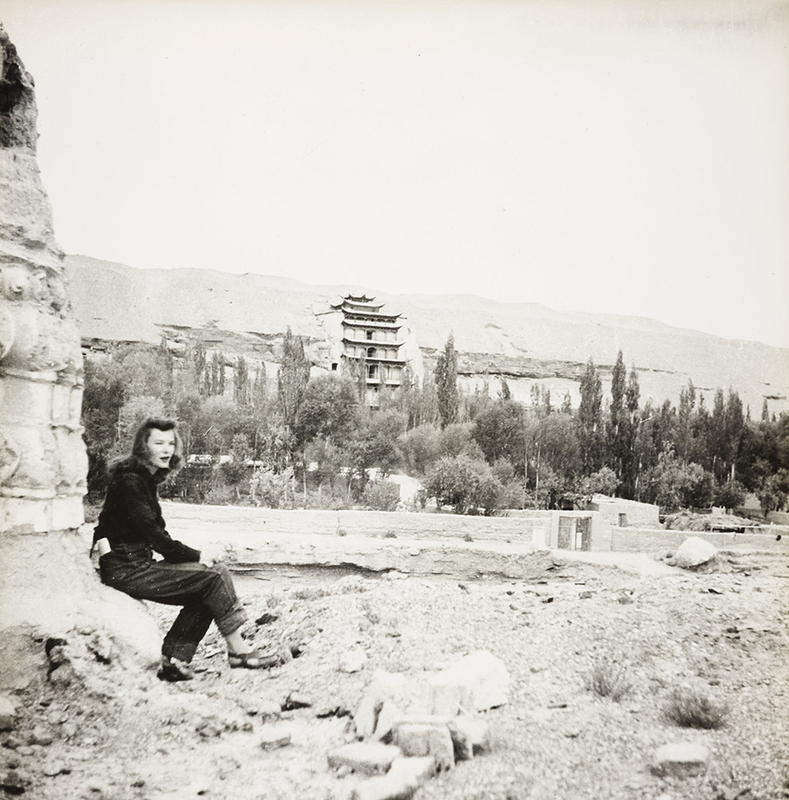 Seventy eight years after Desmond Parsons made his long and challenging journey to Dunhuang, his precious photographs, which represent a small but significant part of his wider passion and love for Chinese culture, are being recognized and publicised through the work of IDP at the British Library. Declan Hayden is currently writing a biography of Desmond Parsons. Details will be given in a future edition of IDP News . 1. Obituary by Sir Perceval Yetts. The Times , July 6 1937: 19c. 2. Taylor, D.J. (2009). Bright Young People: The Lost Generation of London’s Jazz Age . New York: DFarrar, Straus and Giroux. 3. Byron’s extensive archive of architectural photographs is also held by the British Library (Photo 1240) and is being digitised by IDP. 5. Letter in Birr Archives. 6. Hansard , 13 May 1935: 15 & 16. 7. The Caves of the Thousand Buddhas.’ The Illustrated London News May 30, 1936” 969–71. Cited by Irene Vongehr Vincent, The Sacred Oasis . Extracts from Irene Vongehr Vincent, The Sacred Oasis: Caves of the Thousand Buddhas Tun Huang . London: Faber and Faber, 1953. Reproduced by courtesy of Bronwyn Vincent. Photographs by Joseph Needham, all from the Needham Research Institute (NRI). View of the eaves of Dunhuang Mogao Cave 96 showing the Dang River. October 1943, NRI CFT2/20. Left: Joseph Needham, Wu Zuoren 吳作人, Sun Guangjun 孫光俊, Wang Wansheng 王萬盛, and two boys from the Lanzhou Bailie School, near Crescent Moon Lake south of Dunhuang. October 1943, NRI CFT4/23. Right: Rewi Alley and Sun Guangjun looking at a wall-map at the Lanzhou Bailie School, September 1943. NRI NW5/31. Left: The northern caves at Dunhuang Mogao. October 1943, NRI CFT2/9. Right: Joseph Needham with Chang Shuhong 常書鴻, Director of the Dunhuang Research Institute, at Dunhuang during his visit in 1958. NRI 1958_CFT/18. Left: Raghu Vira, members of his delegation and members of the Dunhuang Institute outside the entrance to the Dunhuang Mogao caves (165). Middle: Raghu Vira with his daughter, Sudarshana Devi, the Director of the Dunhuang Institute, Chang Shuhong and a colleague (170). Right: Raghu Vira and his daughter, Sudarshana Devi, watching one the artists of the Dunhuang Institute copying a painting in one of the Dunhuang Mogao caves (167). On 27 May, with 29 other members of the expedition, my father and his daughter Sudarshana Devi left for Dunhuang. The expedition included doctors, nurses, photographers, cooks, car mechanics, scholars from Peking University and The Academy of Sciences, archaeologists, and a female companion for Sudarshana. The Director of the Dunhuang Institute, Professor Chang, joined them on 28 May in Lanzhou. He also recorded details about the Dunhuang Institute, noting that it had a staff of 29, including ten administrators, 15 artists, one architect, one electrician, one driver and labourers, and that their main function was to make copies of the murals. He reported that during the past eight years (1947–55) 150 murals had been copied, and that over the past six months, a thousand photographs had been taken using an ordinary camera. He left Dunhuang on 4 June 1955. 1. The correspondence between them was lost on the partition of India in 1947. 2. Raghu Vira’s comments on the caves will be shown with the online images. Sogdian Ancient Letter 1, Or.8212/92.1. Following his second expedition to Chinese Central Asia in 1906–8, Aurel Stein sent samples of some of the paper he had discovered at the Dunhuang defensive walls­—limes—to the professor of botany and paper historian at the University of Vienna, Julius Ritter von Wiesner (1838–1916). The subsequent article on these was published in German in 1911.1 In order to make it more accessible to scholars worldwide, Dr Anna-Grethe Rischel has prepared a translation into English, and this will shortly be available on the IDP website. Many thanks to Dr Rischel for her translation and bibliography, also produced below. We plan to publish other historical articles on paper and textile analysis in the future and any help with translation is appreciated. An edited section of Professor Wiesner’s paper relating to the analysis of an uninscribed paper fragment from Or.8212/92 (T.XII.a.ii.) is given here. 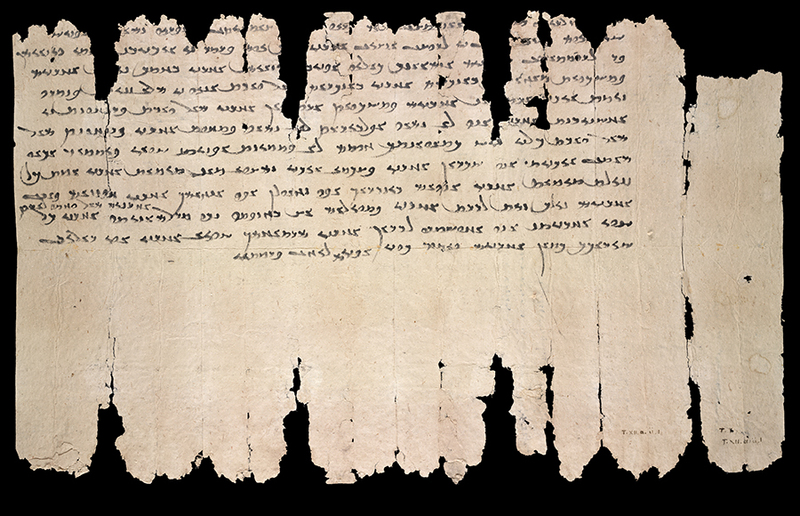 At the time of its publication the language of the manuscript was unrecognized, but it was later identified as Sogdian and this manuscript is now known as Sogdian Ancient Letter 1. It is recorded that Cai Lun produced paper from bast fibres of the paper mulberry tree. It seems certain, furthermore, that Cai Lun also used Chinese hemp and rags for paper production. When these raw materials started to be used in paper production is unknown but Dr Stein’s find confirms that rags were used from a very early period and it is possible that they were used in the first attempts to produce paper. The paper sample, not containing any text, was 10cm by 4cm. It showed no starch sizing, unlike papers mentioned later. Research published to date has put the invention of sizing by the Chinese to the seventh century. Among the dated papers that Dr. Stein sent for material analysis, the oldest with starch size was from LA.VI.ii.904,3 discovered north of Lop-nor and dated to AD 312, so putting back this invention to the fourth century. In reflected light the paper appeared homogenous, closely meshed, lustreless and of a yellowish colour. It showed long fibres when torn. In transparent light, however, the impression of the paper was surprising. There are vertical and horizontal lines giving the impression of an only slightly damaged woven structure. This immediately leads to two hypotheses as to the method of paper production. First, the woven appearance comes from careful preparation of a long-fibred raw material, possibly half-pounded plant bark (bast), in such a manner as to cross the fibres rather than creating a dominant vertical direction. Or, secondly, the paper was made of a woven material, a textile, whose surface was preserved in a more or less undamaged condition. The second hypothesis implies that the crossed fibres are not bundles of bast fibres but textile threads. This has now been clearly confirmed by my analysis. The heavy spun threads are easily recognizable through their twisted texture which excludes the possible presence of strips of raw bast. However, the twisted texture is not recognizable on all threads. Through concentrated examination of the threads it is clear that they are heavily damaged in many places. I believe that the intention was to destroy the original woven structure and to transform it through pounding into a homogeneous writing material. Thoroughly pounded masses of fibres have been used as fillers to create an even, more homogeneous material. Through microscopic examination of the sample we actually find plentiful fine fibres between the woven threads. 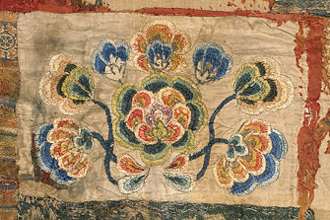 I conclude that our sample shows an early attempt at the transformation of a textile into a writing material. Today we pound the rags into as fine a pulp as possible to obtain tiny fibres that can be mixed so as to produce a thin sheet of paper. It is likely that this method was arrived at gradually and that this sample shows an early stage of the process. I imagine that the Chinese, in their search for a thin, light writing material to replace woodslips used thin linen and hemp textiles but pounded them so as not to destroy entirely the weave structure, which they needed to ensure the binding of the threads. However, it was impossible to write on the half-pounded textile, being too thin and therefore, in my opinion, they started to add completely pounded textile fibres in an aqueous solution on the textile. These enveloped the existing woven structure so that a homogeneous material, fit for writing, was produced. Applying pressure and eventually, heat glazing, produced a material more suitable for writing. As to identification of the fibres, this is problematic as the pounding has damaged them considerably. The microscopic analysis shows firstly that this plant fibre is completely wood free and shows cellulose reactions. Cotton is completely out of the question. The fibres show even bast cells. Flax and hemp fibres (from Cannabis sativa) are with certainty also out of the question. Individual and rather intact preserved fibre fragments up to 2cm in length point in structure and dimensions at an East Asian nettle fibre (Boehmeria or Urtica genus), and it is most likely that this fibre corresponds to ramie (Boehmeria nivea), a plant cultivated in China since ancient times and still used today. Sizing could not be detected. I tested especially for starch sizing, because, as I have demonstrated, it was invented by the Chinese and later adopted by the Arabs.4 It was possible to prove that our paper is completely free of starch or dried starch glue. Dr Stein handed over two inscribed papers found in the same watchtower as the original sample for examination. One of them had the signature T.XII.a.ii.1 and the other T.XII.a.ii.4.5 They were similar and represent a more developed step in paper production than the first sample. They also contained fibres from a variety of Boehmeria. The microscopic examination of both these papers caused huge difficulties, not only because the fibres have undergone heavily mechanical treatment, but also because of the presence among the fibres of numerous other compounds whose connection to the paper production could not always be ascertained. These included silk, hypha, lichen and algae. The existence of bacteria in the papers is not remarkable, but lichen is and perhaps suggests that it might have been used as sizing. I have already previously documented lichen sizing in an old east Turkestan paper. Anna-Grethe Rischel is President of the International Association of Paper Historians. 2. The Sogdian letters are now accepted as dating from c.313-4. 3. LA.VI.ii.904. There is no record in Stein of this signature, but there are two paper fragments dated to AD 312 that are from the same site, namely LA.VI.ii.0230 (Or.8211/912) and LA.VI.ii.0218 (Or.8211/910). 5. T.XII.a.ii.1, 4 (Or.8212/92 and 93). These are in fact contemporaneous with the original sample, namely c.313-4. 1869. ‘Über die Kennzeichnen der Jute.’ Ausland : 393 ff. 1873. Die Rohstoffe des Pflanzenreichs . Leipzig: W. Englemann. 1885. Ueber das Gummiferment . ( Sitzungsberichten der kaiserlichen Akademie der Wissenschaften, mathematisch-naturwissenschaftliche Classe , Band 92). 1885. Untersuchungen über die Organisation der vegetabilischen Zellwand . ( Sitzungsberichten der kaiserlichen Akademie der Wissenschaften , Band 93). Wien. 1887. Die Faijûmer und Uschmûneiner Papiere: Eine naturwissenschaftliche, mit Rücksicht auf die Erkennung alter und moderner Papiere und auf die Entwicklung der Papierbereitung durchgeführte Untersuchung . ( Mittheilungen aus der Sammlung der Papyrus Erzherzog Rainer , II – III). Wien. 1887. Die mikroskopische Untersuchung des Papieres mit besonderer Berücksichtigung der ältesten orientalischen und europäischen Papiere . Wien. 1892. Studien über angebliche Baumbastpapiere. (Sitzungsberichte der kaiserlichen Akademie der Wissenschaften in Wien, philosophisch-historische Classe , Band 76). 1902. Mikroskopische Untersuchung alter Ostturkestanischer und anderer asiatischer Papiere nebst historischen Beiträgen zur mikroskopischen Papieruntersuchung . Wien. 1904. Ein neuer Beitrag zur Geschichte des Papieres . ( Sitzungsbericht der Kaiserlichen Akademie der Wissenschaften in Wien, Philosophisch-Historische Klasse , 148. Band 6). Wien. 1906. Anatomie und Physiologie der Pflanzen... Fünfte, verbesserte und vermehrte Auflage . Wien. 1910. 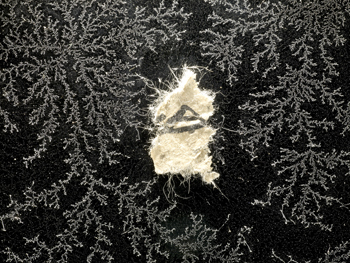 ‘Zur Geschichte des Papiers.’ Natur-Gest-Technik: ausgewählte Reden, Vorträge und Essays . Leipzig: 405-421. 1911. Über die ältesten bis jetzt aufgefundene Hadernpapiere – ein neuer Beitrag zur Geschichte des Papiers . ( Sitzungsbericht der philosophisch-historische Klasse , 168 Band, 5). Wien. Delegates at the Beijing Conference 2013 for the 30th Anniversary of the foundation of the Association for Dunhuang and Turfan Studies, China. Representatives from IDP China, IDP France, IDP Russia and IDP Germany all attended and gave papers (see Worldwide News). In late October 1993, curators and conservators from all the major collections of Dunhuang, Turfan and Chinese Central Asian manuscripts met together for the first time at a conference organised by the British Library in London. United by a common desire to ensure preservation of the manuscripts while greatly increasing their access for scholars, they considered how best to achieve these aims. They recognized that collaborative working and the use of emerging internet and digital technology were both essential, and a Steering Group was formed with its Secretariat at the British Library to coordinate the collaboration. Thus IDP was formed. In this, its twentieth anniversary year, we are celebrating IDP’s achievements with a series of events and activities, and the next IDP News will be a special anniversary edition. 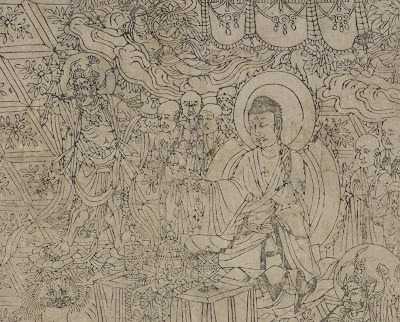 Here, however, we consider the situation in the decade before IDP was formed when Chinese scholars started to concentrate attention on Dunhuang and Turfan studies (see below), and also started working closely with colleagues at the British Library. 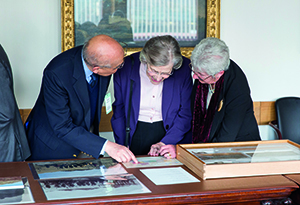 The success of these early collaborations, which laid the foundations for the formation and success of IDP, was in large part thanks to Dr Frances Wood, former Head of the Chinese Section at the British Library, and this issue also pays tribute to her work on her retirement in May this year. The recent conference held at Capital Normal University in Beijing to mark the thirtieth anniversary of the foundation of the Association for Dunhuang and Turfan Studies, China attracted scholars from throughout China and worldwide, and was a great success. It served to highlight how far this area of scholarship has progressed over these past three decades. The opening panel brought together many members of the original Association and it was a great honour to be in the presence of such a distinguished and influential group. As a young scholar in the 1990s I met many of these scholars both in Beijing and in the British Library, on their visits to help with the conservation, cataloguing and publication of the Dunhuang and other Chinese Central Asian material. These early contacts were enabled by my colleagues at the British Library, Dr Frances Wood and Dr Beth McKillop, and by Professor Sarah Allen of London University. The scholars were unfailingly encouraging and helpful in our shared aims to make the Dunhuang, Turfan and other Chinese Central Asian material more accessible to scholars in China and worldwide. Thanks to their help, three decades of fruitful collaboration has resulted in numerous publications, including the facsimile volumes of the non-Buddhist fragments edited by Ning Ke, Song Jiayu, Frances Wood and other colleagues, important catalogues by Professors Sha Zhi, Fang Guangchang and Rong Xinjiang, and the transcriptions by Professor Hao Chunwen and his team, ensuring much greater access to the manuscripts and their contents for a new generation of scholars. Their example and collaborative spirit enabled the founding and growth of IDP, also concerned with enabling scholarship by giving free online access to both the manuscripts and their catalogues. Apart from the pleasure of seeing so many old friends, the conference was inspiring in allowing so many younger scholars to present their work on all areas of Dunhuang and Turfan studies. The depth and breadth of current scholarship is a testament to the vision of the members of the Association thirty years ago and the conference was a fitting tribute to their work. Twenty years have passed since IDP was established at the British Library in 1993/4. The path towards today’s active, networked, global effort to record and share information about the documentary legacy from Dunhuang and other Central Asian sites had its starting point in the 1980s. On Frances’s retirement earlier this year, we are reprinting excerpts from a 1990 article by Frances to mark her outstanding contribution to the field, and especially to the British Library’s work in the area. Frances led the curatorial and research programmes of the British Library’s Chinese section during the 1980s, 90s and 2000s. I was fortunate to be Frances’ colleague in the Chinese section for much of the time between 1981 and 2004. I reflect with pride on the pioneering Anglo-Chinese collaborations of those years. Looking back, it is difficult to recall the practical obstacles to international scholarly collaboration in the pre-digital age. During the 1980s, contacts with scholars from the Chinese Academy of Social Sciences (who drove forward the efforts to catalogue, photograph and describe parts of the Stein collection which had remained hidden from view) took the form of letters, telexes, occasional long-distance telephone calls, and eventually and excitingly, faxes. 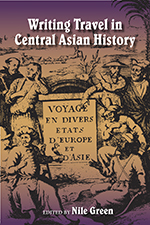 In the 1980s, the context for the reinvigoration of Dunhuang and Central Asian textual scholarship was a rather fragmented and highly geographically dispersed field, with collections and research based in and limited to the different collecting centres. The principal physical form of sharing texts was either microfilm, of varying quality, or reprinted documents on paper, reproduced from that same microfilm. Part of Frances’ achievement was her early ability to imagine the long-term benefits of the marriage of excellent scholarship, high-quality photography, skilful, evidence-based conservation practice, and communication networks to share the results between expert and general communities. Writing in 2013, these tools of the scholar’s trade may seem unremarkable, but back in 1987, when Professors Song Jiayu and Zhang Gong visited the collection, they lay beyond imagination. After the collaboration with Song and Zhang, the British Library worked over many years with scholars from China and beyond to tap the rich content of the Dunhuang collections and introduce them to different audiences. Frances had a real gift for identifying and offering substantial collaboration opportunities to scholars in a variety of fields, undaunted by the challenges of arranging London visits for non-English speaking specialists in ancient texts. Lasting friendships and fruitful professional outcomes have been the result. It is clear that Frances’s ambitions for tapping the resource, or as a later article described it ‘reaping the rewards’ , were inspiring­—the list of supporters who helped the British Library and later IDP to achieve the scholarly, scientific and reprographic programmes necessary to expand the whole field of ‘Dunhuangology’ is impressive indeed. Beth McKillop was previously a curator in the Chinese Section of the British Library with Frances Wood. She is now Deputy Director of the V&A. 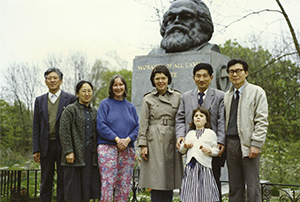 Wang Xu and Wang Yarong (visiting scholars), Frances Wood, Beth and Lucy McKillop, Luo Yupei and Guan Yuanbo (Sichuan Peoples Publishing House), Highgate Cemetery, London April 1989. Even in 1987 possibly as much as a third of the [Stein Chinese Dunhuang manuscript collection] remained a virtually untapped resource, too fragile to be handled. Few scholars were given the opportunity to examine these fragments and thus little had been established regarding their content. In 1987 visiting scholars from the Institute of History in the Chinese Academy of Social Sciences(CASS) made the first tentative proposal of a facsimile publication of the secular documents from Dunhuang. The Sichuan People’s Publishing House undertook to publish the facsimile. 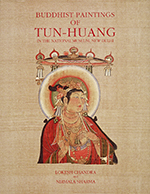 Members of the Dunhuang-Turfan Academic Society and the Institute of History, CASS are undertaking editorial work... The full set, amounting to fifteen physical volumes, should have appeared by the end of 1992. The original plan, proposed by CASS, was to work from the existing microfilm of the Dunhuang collection. However, it was soon recognized that their quality was too poor and a large percentage of the manuscripts had to be reshot, using high-contrast film to ensure legibility of the text. Part of this work was done by photographers from CASS, part by British Library photographers. Photography of the remaining fragments is proceeeding in tandem with their conservation. The manuscripts require to be carefully flattened to enable photography to be carried out, after which the procedure is to sew them into sheets of Melinex and encase them in portfolios. The organisation, staffing and financing of the project reflect extensive collaboration between scholarly institutions in Great Britain and China. Support from the British Council and the K. C. Wong Education Foundation has been important on the editorial side. A British Council ‘academic link’ between the School of Oriental and African Studies, University of London, and the Institute of History, CASS, enabled Professors Zhang Gong and Song Jiayu to come to London in 1987 for editorial purposes. Subsequent visits by scholars from both institutions have involved editorial discussions in London and Peking. A K. C. Wong Foundation scholarship administered by the British Academy, was awarded to Ning Ke, Professor at the Peking Normal University and Vice-President of the Dunhuang-Turfan Academic Society, for his visit to London from October 1988 to October 1989, when he selected documents for photography and continued editorial work. Professor Rong Xinjiang of the History Department, Peking University, and Dr Fang Guangchang of the National Library, Peking, will also visit London thanks to the award of K. C. Wong fellowships. They will commence cataloguing fragments in March 1991. Further support for editorial aspects of the project has come from the Sino-British Fellowship Trust (SBFT), which financed the part-time assistance of a Chinese postgraduate research student from SOAS who has helped with translation of the correspondence and with management of visitors. Lanzhou University supported two of its lecturers who assisted Professor Ning Ke for six months during 1989. On the conservation side it was another British Council ‘academic link’ between the British Library and the National Library in Peking that enabled Peter Lawson and Mark Barnard of the British Library Conservation Studios to visit Peking in 1987 and 1989 to continue their research into the preservation of the Dunhuang manuscripts. A grant from the SBFT is financing visits by Chinese conservators to London to learn the techniques used in the British Library and assist in the preservation of the fragments. Two conservators worked from January to July 1990. It is anticipated that a photographer will be available for six months from late October 1990 to photograph conserved fragments before they are encapsulated in Melinex and that two more conservators will arrive in 1991 to undertake encapsulation. The British Library has contributed to the project both financially and in terms of staff time. Subsistence was provided for Mr Guan and Mr Luo, directors of the Sichuan People’s Publishing House, during their 10-day visit to London in April 1989. The Library furnished all the film, and undertook much of the development, for the photography carried out by Chinese photographers and attended to the re-shooting of material not of publication standard. Other contributions include part-support for one of the Chinese visitors to the Conservation Studio, and the air fares for Rong Xinjiang and Fang Guangchang. A considerable portion of the time of the Conservation Studio and Chinese Section staff has been devoted to the project, including a visit to Peking by one of the curators, Beth McKillop, to proofread the galleys of the first facsimile volume to be published, the BL paying the return air-fare. The management of the Dunhuang manuscripts project is supervised by an advisory committee, whose members, currently, are Mr B. C. Bloomfield, Director, Collection Development, BL; Mr Abraham S.-T. Lue,2 Assistant Principal of King’s College, London; Mr Peter Williams, Deputy Secretary of the British Academy; Dr Sarah Allen, SOAS; and Dr Frances Wood, Head of the Chinese Section, BL. 1. OIOC Newsletter 45 (Autumn/Winter 1990): 11–12: this is an excerpt from the article. 2. Mr Abraham S.-T. Lue became Chair of IDP on its formation and remains in this position today. He will write of this early period of IDP in the next issue of IDP News . Indiana University Press: Bloomington 2014. Proceedings of the Tenth Seminar of the IATS, 2003. ELTE Institute of East Asian Sudies: Budapest 2013. In collaboration with London Editions, IDP News is offering its readers a discount off the cover price of the newly issued paperback of The Caves of Dunhuang, a general introduction to Dunhuang, the caves, their history, paintings and conservation, written by the Director of the Dunhuang Academy, Professor Fan Jinshi, with English translation and editing by Susan Whitfield of IDP. Beautifully illustrated, The Caves of Dunhuang gives an introduction to a selection of caves from all periods to show the development and diversity of the artistic traditions at this Silk Road town. The English paperback edition is just published at a cover prince of £19.95. We can offer it to IDP News readers at £19 to include free UK postage and packing (add £5 for Europe, £8 for elsewhere) Please email Sarah at idp@bl.uk to order your copies now or pay directly online adding ‘Dunhuang caves book’ in the comments. Please make sure to send your full postal address. The book will also be on sale at IDP events for £15. This is the first exhibition of its kind to provide a visual narrative of the history of Zoroastrianism, its rich cultural heritage and the influence it has had on the major world religions of Judaism, Christianity and Islam. Highlighting paintings and sculptures by a dozen modern and contemporary artists, this exhibition will explore Dunhuang’s influence on generations of artists beginning with master painter Zhang Daqian. Other artists to be featured in the exhibition include contemporary art luminaries such as Zhang Hongtu, Liu Jude, Liu Dan and Yu Hong. There is an accompanying catalogue and accompanying events, listed below. 13 December (evening): Curator’s Lecture: Jerome Silbergard. 14 December: Symposium, including round table discussion with the artists. 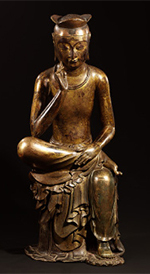 The first-ever exhibition outside Asia to focus exclusively on the art of Silla, organized with and drawn from the holdings of the National Museum of Korea and Gyeongju National Museum. The exhibition will show some 100 objects, including gold regalia, Buddhist art, and goods from the Silk Road, all created between about AD 400 and 800. 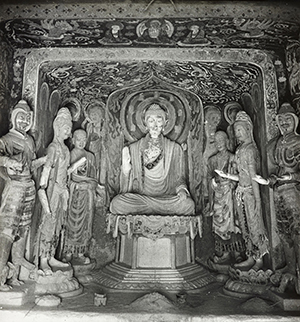 Organized thematically in three sections, the exhibition will also present videos featuring renowned burial and Buddhist monuments, including the eighth-century Seokguram Grotto that was added to the UNESCO World Heritage List in 1995. An exhibition of photographs by the British Library, the Royal Geographical Society and the University of Nottingham held as part of IDP20. Aurel Stein’s early twentieth-century photographs of ancient Silk Road settlements, stupas and forts in the Taklamakan Desert are shown alongside modern images and video taken on recent IDP expeditions to Chinese Central Asia to record the changes of the past century. This exhibition starts with a section on paintings made for tombs and temples, including Buddhist paintings from Dunhuang. On 22-23 July, Liu Bo attended the Dunhuang and Silk Road International Academic Seminar, which was hosted by Lanzhou University and Korea University, and spoke of the work and future plans of IDP NLC. Lin Shitian and Liu Bo of IDP China were among the over two hundred scholars who attended the conference to mark the thirtieth anniversary of the Dunhuang and Turfan Academic Committee. Liu Bo (right) presented their paper. IDP Beijing has updated its camera with support from the NLC, along with one Wacom tablet. It recently completed a total of 100,000 images online. A busy time for the Dunhuang Academy with a visit by a group retracing the steps of Joseph Needham’s journey to Dunhuang and the preparation of a programme by Tianjin TV, who have also filmed at IDP UK. They have also been busy with exhibitions in the US and Beijing. The Beijing exhibition is entitled ‘Flowing Garments: An Exhibition of Fashion in Dunhuang Art’. 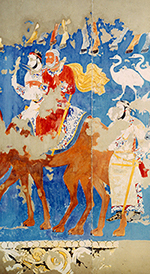 It is being held at the Beijing Institute of Fashion Technology, from 22 October to 11 November, and shows representative examples of clothing depicted in the Dunhuang murals. It is one of a series of events to promote Dunhuang art in higher educational institutes. A related symposium was held on 23–24 October on the fashion of Dunhuang and ancient China, attended by experts such as Chang Shana, Sun Ji, Chai Jianhong and Yang Zhishui, as well as young scholars from the Dunhuang Academy, including Zhang Xiantang, Yang Xiuqing and Wu Qiongfang. 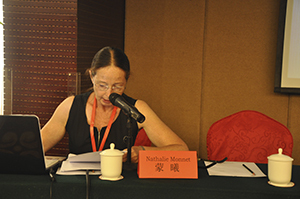 Desmond Durkin-Meisterernst and Christiane Reck spoke at the International Association of Manichaean Studies conference held at SOAS, University of London, in September. They presented papers on ‘Manichaean texts on parchment in the Berlin Turfan collection’ and ‘A Sogdian calendrical omen text as part of a Manichaean Sammelhandschrift.’ Desmond also gave a public lecture. Simone Raschmann attended the conference in St Petersburg on Sergei Oldenburg, giving a presentation on Oldenburg’s cooperation with German scholars. More material from the Swedish collections became available online on IDP through the Swedish Open Cultural Repository. Sophie Makariou was appointed the new President of the Musée Guimet in August. She was formerly Director of the Department of the Arts of Islam at the Louvre. The Oriental Reading Room of the Bibliothèque nationale has now closed. 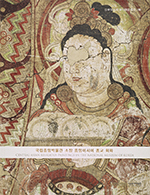 Readers looking at Dunhuang manuscripts will use the general Manuscripts Reading Room. After meeting in March at RIKS (Research Institute of Korean Studies, Korea University), Director Choe and IDP Director Susan Whitfield met again at the IDP UK at the British Library. They signed an MOU on the ‘mutual understanding of cooperative relationship between Korea University and the British Library as to the International Dunhuang Project’. Through this MOU, each institution was able to ensure a cooperative relationship for mutual benefit. They also agreed to pursue research shared between the two institutions. Director Choe also visited the School of Oriental and African Studies (SOAS), University of London. He met with Dr. Andrew Lo, dean of the Department of China and Inner Asia, and Dr. Jae Hoon Yeon of the Department of Korean Language and Linguistics to discuss future cooperation between the two schools. 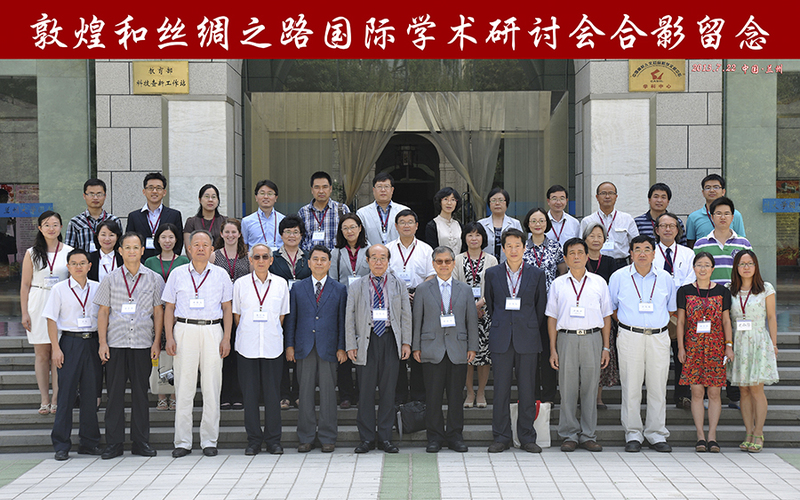 On 22–23 July, an International Conference entitled ‘Dunhuang and the Silkroad’ was held at Lanzhou University, China (delegates pictured below). RIKS acted as host in cooperation with the Institute of Dunhuang Studies, Lanzhou University (Director, Zheng Binglin). 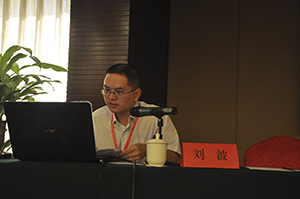 The conference had two main topics, ‘Cultural interchange between Dunhuang, the Silk Road and Korea’, and ‘The Globalization of Dunhuang Studies’. Over twenty presentations were given, followed by discussion. Participants included scholars from Korea, China, Taiwan, Japan and UK, including IDP members, Jung Kwanghun (IDP Korea), Liu Bo (IDP Beijing) and Emma Goodliffe (IDP UK) giving lectures about IDP’s current situation and aims. Following the conference, all the participants travelled to Dunhuang to visit the Mogao caves and Dunhuang Academy. The 150th anniversary of the birth of Sergei Oldenberg (1863–1934) was celebrated with a conference held at the Russian Academy of Sciences and the Institute of Oriental Manuscripts, St Petersburg, 26–27 September. Participants from Russia, China, Japan and Europe gave papers showing the important legacy of Oldenburg and his strong friendships with scholars worldwide. The conference was accompanied by an exhibition of photographs celebrating his life and achievements and the opening of an exhibit at the Hermitage, curated by Maria Menshikova, showing some of his finds from Dunhuang and elsewhere, along with photographs and archives. 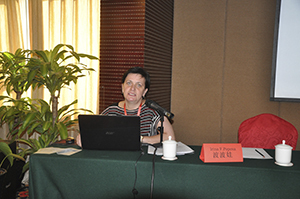 Irina Popova (right) attended the Beijing conference, giving a presentation on the Chinese documents in the Oldenburg archives of the Russian Academy of Sciences. Chen Dawei of Shanghai Normal University has been at the British Library for much of 2013 researching Buddhist monasteries in Dunhuang. Wang Jiqing of Lanzhou University spent six weeks in London and Oxford working on the Stein archives. He is preparing translations into Chinese of the Stein diaries and other material. Rebecca Fu, a doctoral student of Professor Mair at the University of Pennsylvania, spent two months at the British Library studying Dunhuang contracts, letters, wills and Buddhist sutras with colophons in which women were involved. We also welcomed many other scholars to IDP to discuss ongoing and new collaborations, among them Director Choe of RIKS, for the signing of a new MoU (pictured right). Other visitors included Zhao Feng and Julia Zhou (China National Silk Museum, Hangzhou), Vivienne Lo and Wang Jinyu (Dunhuang Academy), Cynthia Liu and Liu Zhengcheng (Peking University), Kasper Hanus and Emilia Smagur (Jagiellonian University) and John Moffet (Needham Research Institute). 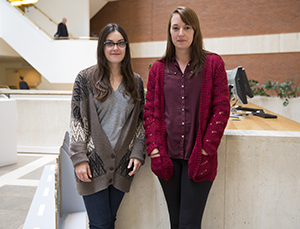 Sarah Wall and Lizzie Vickery (right) joined the IDP UK team as Imaging Assistants, both working half time on post-production of images. We are very pleased to welcome them to IDP. Susan Whitfield and Sam van Schaik both attended the Oldenburg conference in St Petersburg and gave presentations. They also held meeting with the State Hermitage and Simone Raschmann from Berlin about possible collaboration. Emma Goodliffe attended the conference organised by IDP Korea in Lanzhou, giving a presentation on IDP. She travelled on to Dunhuang with the group and there met IDP Dunhuang staff. Vic Swift and Susan Whitfield attended the final seminar in the University of Nottingham AHRC-funded Research Network, ‘Re-imagining the Silk Road: Travels, Texts and Images.’ John Falconer, Curator of Photographs at the British Library also attended and gave a paper on early photography of the Silk Road. Thanks to the support and collaboration of Professor Dan Waugh, the University of Washington, Burrow’s 1940 translation of the Kharoṣṭhi documents from Niya is now accessible on IDP, linked to the images of the manuscripts. Over the coming years IDP will be hosting additional data from Professor Waugh’s website, Silk Road Seattle and from the Silk Road Foundation website. Thanks also to Professor Victor Mair, University of Pennsylvania, for making available his catalogue, Lay Students and the Making of Vernacular Narrative: an Inventory of Tun-huang Manuscripts (originally published in Chinoperl Papers 10 (1981), pp. 5–96). Both catalogues were marked up into XML by Emma Goodliffe of IDP. She is currently working on Oktor Skjaevo’s catalogue of Khotanese manuscripts in the British Library collections and this will come online in 2014. Abraham Lue, Pamela Youde and Anne Ely at the IDP Patrons and Supporters Evening. Through a collaboration with Chinese archaeologists and the Cultural Heritage authorities, IDP at the British Library has been on two field trips to the lost cities of the Silk Road, the source of many of the manuscripts now in the Library’s collections. They have taken extensive photographic, video and audio documentation, including replicating shots taken by the archaeologists of the early 1900s to show the changes of the past century. Staff exchanges, interns and a joint conference have furthered knowledge and understanding on both sides. Patrons and supporters of IDP joined us on 13 May for an evening to view photographs and video and learn about further activities, including the exhibition at the Royal Geographical Society in collaboration with the University of Nottingham. Welcome also to our new IDP supporters for 2013. We look forward to welcoming more supporters in 2014. Details of the scheme can be found on our website. To celebrate IDP’s 20th anniversary we will be organising a series of events and activities over the next year. Brief details are given below and updates will be posted on the programme page and blog. From November 1 our blog will also feature ‘A Few of Our Favourite Things’, a weekly post showcasing IDP collection items selected by twenty of IDP’s partners, supporters and users. Please contact idpevents@bl.uk for more information. The next issue of IDP News will be a special twentieth anniversary edition. 18.30–20.30 In recent years a team of experts have conducted research into the Silk Road’s sites and routes as part of the Silk Roads World Heritage Serial and Transnational Nomination in Central Asia project. Tim Williams, archaeologist at University College London (UCL) and leader of the UCL Ancient Merv Project, has been working on this project for several years. In this lecture he will discuss the considerable challenges of mapping the the Silk Roads and their sites. MONDAY–SATURDAY Between 1900 and 1916 the archaeologist and scholar, Aurel Stein, led three expeditions to the Taklamakan and Lop Deserts of western China in search of the sand-buried settlements of the Silk Road. He excavated scores of sites and took over 5000 photographs. These photographs of ancient Silk Road settlements, stupas and forts in the Taklamakan Desert are shown alongside modern images and video taken on recent British Library expeditions to record the changes of the past century. 10.00–17.00 Archaeologist and scholar, Aurel Stein excavated scores of sites and discovered numerous artefacts including over 40,000 manuscripts and early printed documents in over twenty languages and scripts. The amount and variety of this material poses serious challenges for both conservation and digitisation that curators and conservators at the British Library have been addressing for two decades through international collaboration and under the auspices of IDP. This open day offers a chance to meet the conservation and digitisation teams and to learn about their work on the Stein Silk Road manuscripts. DAILY The Dunhuang Diamond Sutra , the world’s earliest, dated, complete printed book, will be on display at the British Library for the first time since a programme of long-term conservation was completed. It will be shown alongside other examples of early printing in Asia. 14.00 – 20.00 Over a century of archaeology on the eastern Silk Road has resulted in thousands of textile finds, preserved by the dry desert air. In their variety — of material, dyes, designs and weaves — they demonstrate the richness of cultural and technical exchanges among the peoples of the Silk Road. This afternoon of lectures by scholars, curators and conservators is intended for a general audience, and will introduce the Silk Road and the textiles collections held in London and worldwide. The lecture will be followed by a drinks reception.